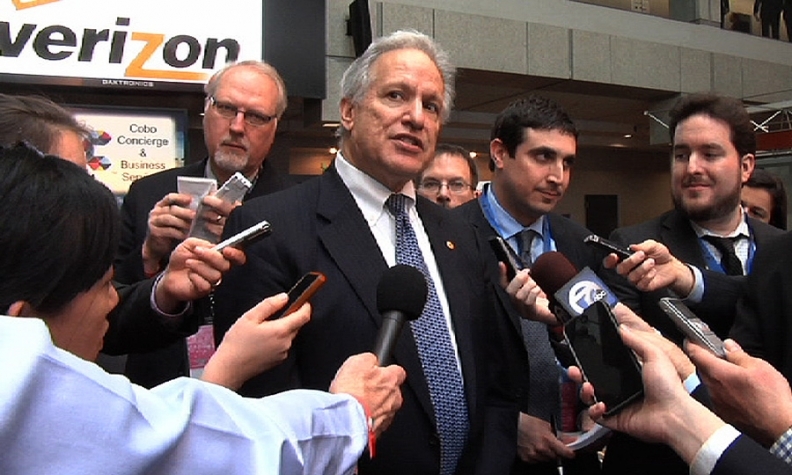 NHTSA boss Mark Rosekind is presiding over the consent agreement with Fiat Chrysler. WASHINGTON -- The National Highway Traffic Safety Administration’s consent agreement with Fiat Chrysler Automobiles grants sweeping powers to an independent monitor tasked with overseeing the company’s safety operations, deepening the federal government’s role in direct oversight over individual automakers. The monitor, who will be paid by Fiat Chrysler but report to NHTSA, will assess the company’s compliance with the consent order, including new “best practices” that the automaker must develop and implement to overhaul its defect-related decision making, reporting and communication processes. The monitor will also assess a new training plan that Fiat Chrysler must develop to ensure that its safety and compliance staff follow federal rules. At least every four months, the monitor will file a report to NHTSA assessing the company’s progress in complying with the consent order and with any other changes designed to improve its compliance with safety rules, among other things. The monitor’s role was detailed in a consent agreement announced Sunday in conjunction with a record-setting potential $105 million civil penalty stemming from a U.S. probe of 23 recalls by the company. The monitor will oversee Fiat Chrysler’s recall and defect operations for three years, with NHTSA retaining the option to renew the arrangement for a fourth year. Installing such a monitor at a major automaker is an unprecedented move for NHTSA. It mimics a similar move by the U.S. Department of Justice in its 2014 settlement with Toyota over charges that it suppressed information during its unintended acceleration crisis. It also brings the government’s growing oversight of the auto industry to a new level, following settlements that included additional oversight with American Honda and General Motors since 2014. Including GM and Honda, more than half of all vehicles sold in the U.S. will now be under an extra level of regulatory scrutiny, Bloomberg reported today. While the deals with Honda and GM have required more frequent meetings and closer scrutiny from regulators, NHTSA’s deal with Fiat Chrysler goes a step further by placing an independent watchdog, supervised by NHTSA, inside the company with broad authority to interview company employees and inspect records. Any violation by Fiat Chrysler will be costly. Of the potential $105 million penalty, $15 million will essentially be held in reserve and paid in increments if the monitor discovers violations following an investigation. Fiat Chrysler will have to open up all “non-privileged” books, records, emails and files to the monitor, and let the monitor interview any company executive, employee or consultant. The monitor can hire a staff and will be furnished an office at Fiat Chrysler’s headquarters, all paid for by Fiat Chrysler. Fiat Chrysler must nominate candidates for the monitor position by Sept. 22, according to the consent agreement. NHTSA must sign off on the candidate, but if the company and the agency can’t agree on one, the agency can appoint a monitor.